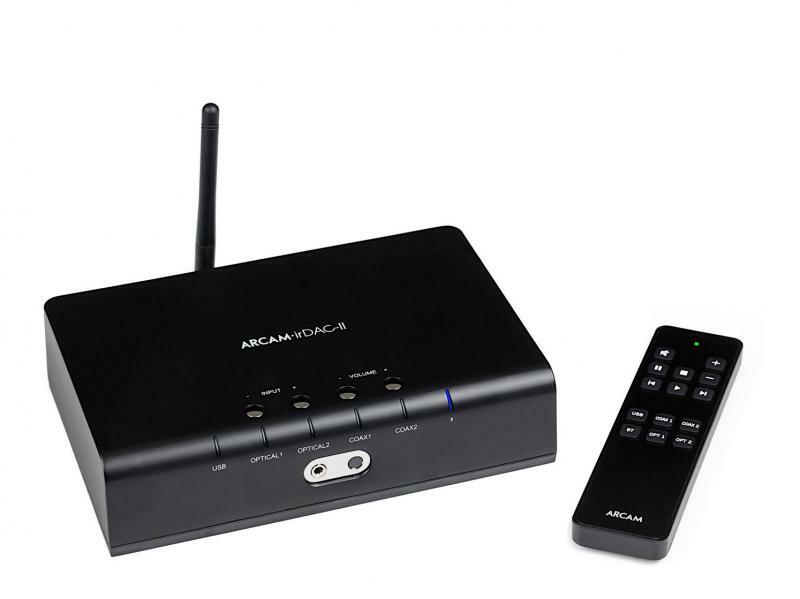 The irDAC-II is the replacement for Arcams very successful iR DAC and continues the story adding Bluetooth connectivity, headphone output and DSD128 support. The irDAC-II comes packed with cutting edge technology and features that will benefit the most demanding user. Arcam have gained a lot of knowledge developing class leading DACs. Areas like isolation of the digital and analogue stages, ultralow noise power supplies and a direct coupled signal path make a big difference. They use the outstanding ESS Sabre DAC to obtain performance that they believe will be unmatched in this price category. Jitter reduction is an obsession within Arcams engineering team. They have applied their experience in the irDAC-II to produce a signal that is almost jitter free. The headphone output stage has been taken from the flagship A49 amplifier and is capable of driving the most demanding of headphones. Both fixed and variable line outputs are also available, allowing for ultimate system building flexibility.